Marsiling-Yew Tee Town Council has responded to Stomp about the matter. 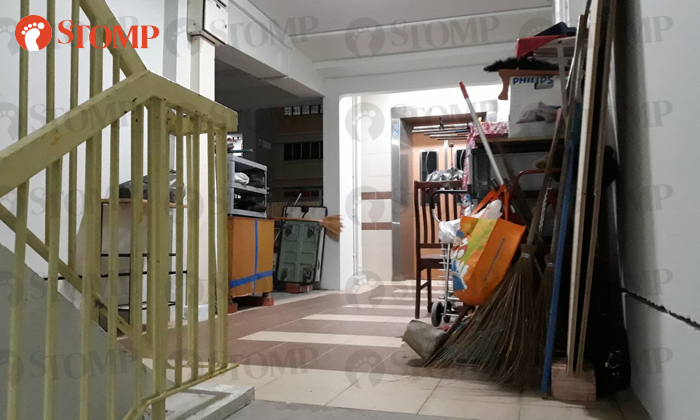 Multiple residents at Block 151 Woodlands Street 13 have been cluttering the common corridors and staircase landing with various items from big to small. 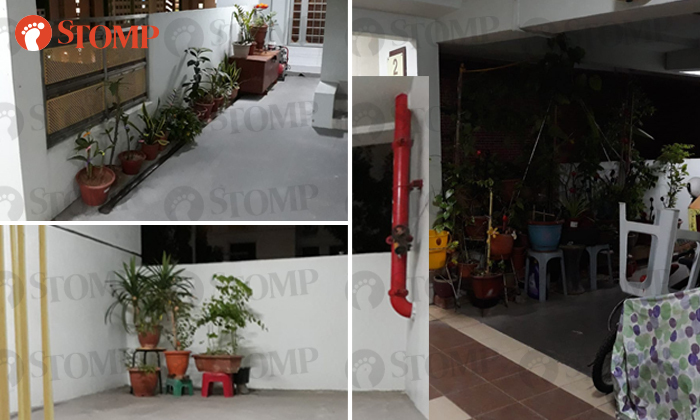 Stomper Frustrated Resident took several pictures of the clutter at around midnight on Friday (Feb 8) and sent them to Stomp, but said that this has been ongoing "for years". He said: "The clutter is on different floors so I believe they are placed there by different families. "Many floors are affected but Levels 5, 6, and 7 have it the worst." Stomper Frustrated Resident added: "At one point, there was even a washing machine on the second floor, though it has been removed. 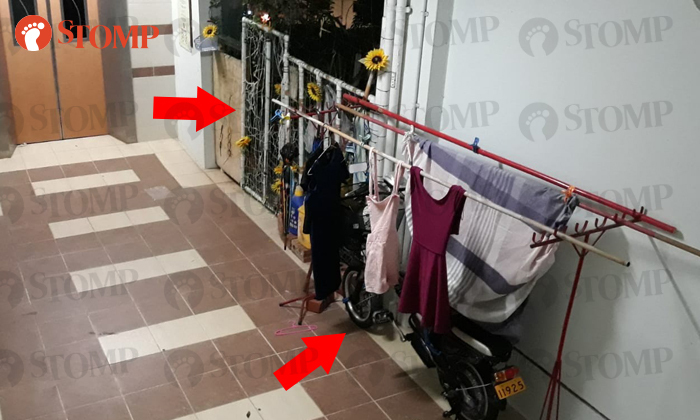 "And on Level 6, the residents have set up a so-called gate at the corridor." "This floor has four units; two on the left and two on the right," the Stomper went on to explain. "This probably means both units had agreed to set up the gate among themselves. "I doubt it was approved by the authorities because of the way it was set up. It was tied with cable ties, netting and bricks. "There is also an electric bicycle hidden below the bamboo poles if you look carefully, in spite of the recent spate of fires involving personal mobility devices. "For years, there have been so many fire hazards blocking the staircase. "In the event of a fire, those living on the upper floors will definitely be trapped because the path to safety will either lead to a stampede or be blocked by the clutter." Besides raising safety concerns, Frustrated Resident also felt that the clutter was unsightly. He told Stomp: "As the situation persisted even after Chinese New Year, I decided to share this so that something can be done about it. "I did not approach the residents responsible for the clutter as it's not just one family, and things might turn ugly between us if I talk to them and they refuse to cooperate. "I believe that social media is the best way for those in-charge to do something." 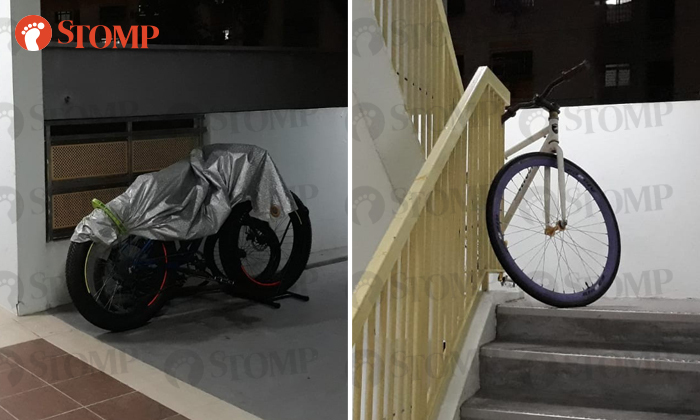 Stomp has reached out to the relevant authorities for comment. View more photos of the clutter in the gallery. 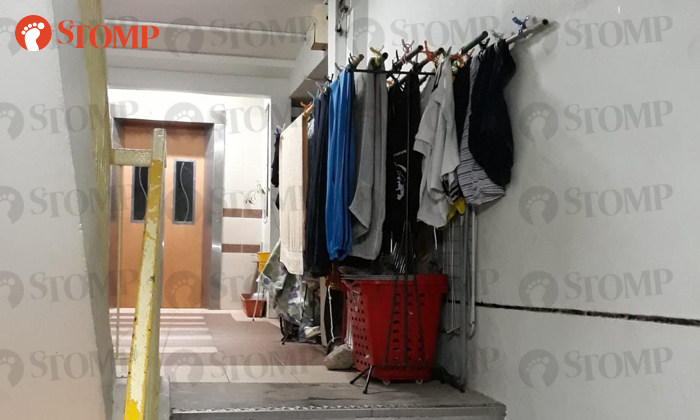 The corridor of Block 63 Sims Place is a common area, not your private storeroom!